In the present day, we are now seeing President Erdogan’s model of brutality against humanity and civilization; it’s evident on the streets in every city and village of Turkey. 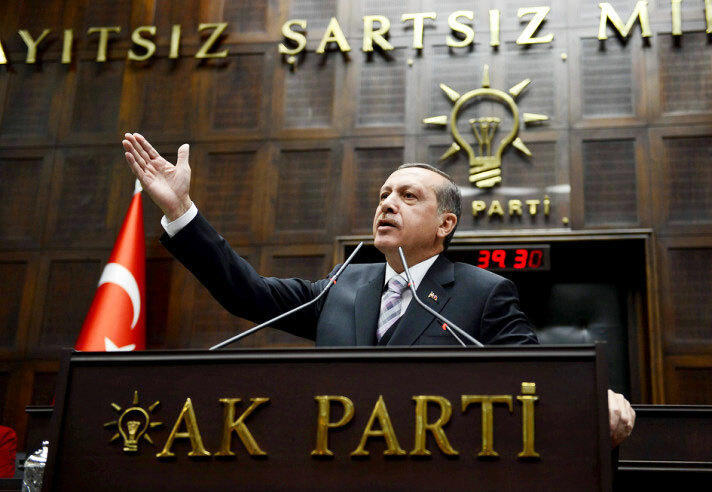 The early economic growth of his AKP government has since been followed by the economic deficits of the internal and external wars of the Turkish state and their President against the Kurds and democrats. The latest development has seen a coup attempt by dissidents inside the Turkish army: according to Erdogan the product of Gulen’s ideas and efforts to destabilise Turkey. More than 10,000 generals and soldiers have been jailed as a result of the failed coup by this faction of the army. Since then, Erdogan has laid down emergency rules which represent significant challenges to democracy and the overall stability of the region. Erdogan is the man responsible for brutalising democracy to stay in power and he is now preparing to pay a heavy price for this. The previous image Turkey portrayed to the world was one that included a good record of economic growth, modernisation, and openness. However, this image is now distorted by the Erdogan connection with ISIS; including his failure to reform Turkish schools and the growing emphasis on bringing back the veil and rule of Islam in society. The world has been appalled by Erdogan’s intervention in Syria and Turkey attempts to suppress the Kurds in both countries. On 27th October in their seminar at Manchester University, one Rojava activist told the audience that “as a result of Turkish intervention in Rojava, in parts of Syria women and children are all carrying and being trained in using weapons to defend and defeat the objectives of Turkish AKP military junta”. The Turkish attack on HDP, the People’s Democratic Party, and its co leaders, and the arrests on their mayors in the city of Amed (Diyarbakir) in the south-east of Turkey (North of Kurdistan) should give preliminary warning to the Western world that Turkey is on the brink of civil war. Turkey has suppressed its Kurdish citizens, resulting in them having no other choice but to provide ongoing recruits to the PKK and their strategy for liberation in the north of Kurdistan. The Turkish state and their President are playing with fire by fighting the PKK and PYD. Another activist showed me photos of 14 civilians who had been killed in Rojava by Turkish air strikes when the Turkish state claimed that they had killed 17 armed PYD. Turkey needs to recapture their modern image and the democratic movement in Turkey needs to challenge the dictatorial Erdogan military junta and prevent it firstly from intervening in their neighbours’ affairs, and secondly to begin to reconcile and start a strategic plan of negotiations with regards to Abdullah Ocalan’s life-sentence in an Imrali island jail. Finally, Turkey is going through a very difficult time of oppression and suppression of democratic voices and all of these repressive machines and apparatuses need to be dismantled.